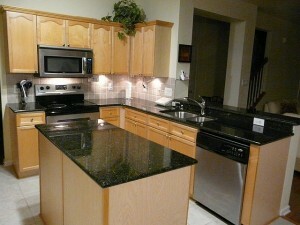 Alpha Stone’s granite kitchen countertops are the best choice for any home. 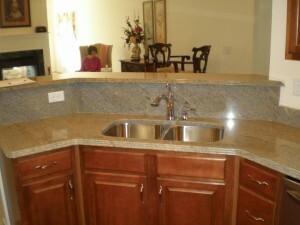 Stone countertops are very affordable and will surely increase the value of your home. Each and every stone is unique. 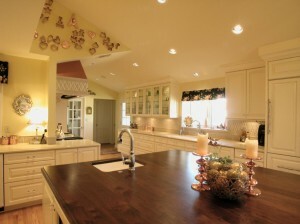 Stone countertops have a timeless beauty, and are comfortable with any decor. 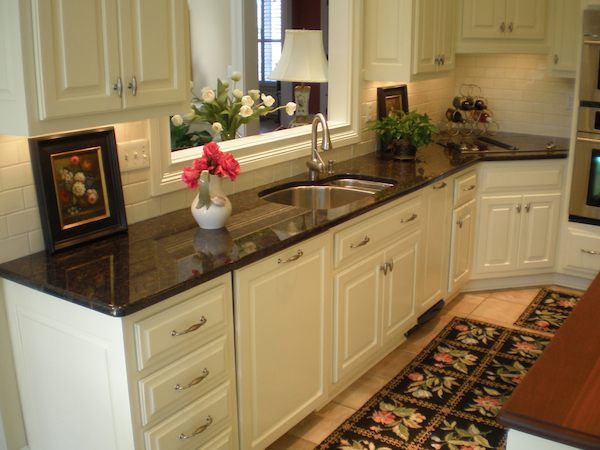 It is impossible to duplicate the true beauty of granite. The sunlight dances off the small crystals and changes the appearance of your stone throughout the day. You will admire the beauty of your natural stone today, just as you much as you will five years down the road. There are hundreds of color choices, many different patterns of veins, specks, and swirls. Stone is naturally colored throughout. Our natural stone is readily available. Stone countertops are sanitary – they won’t harbor bacteria. They are strong, hard to damage, kid-friendly, and easy to clean. You can even cut directly on the surface. Stone is durable – it will last your lifetime, and more. 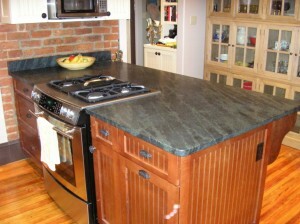 Hot items such as griddles, fryers, and toaster ovens won’t burn or leave char marks on your granite countertop. 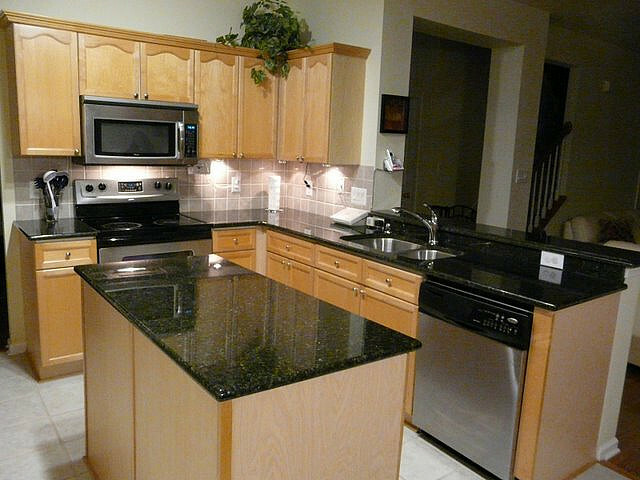 We offer granite countertops, other natural and man-made stones, contra-marbles, acrylic materials and engineered stones. Need kitchen countertops in Richmond, Virginia? There is only one solution: the Alpha Stone Solution. 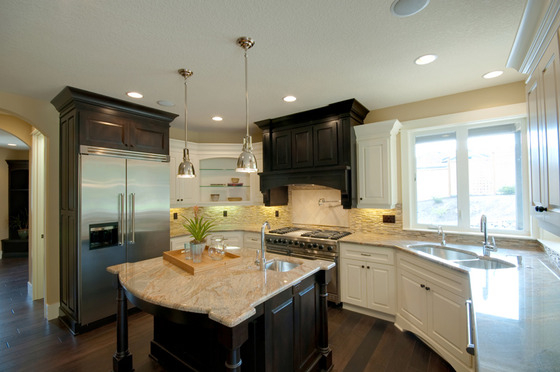 We are here not just to help you with your kitchen countertop needs; we are here to educate you on all the different varieties of stones that we offer. We offer both natural and man-made stones. All our stones are custom cut, which means the measurements are taken at your home with precision technology. Then the stone is cut by the state of the art machines in our shop. 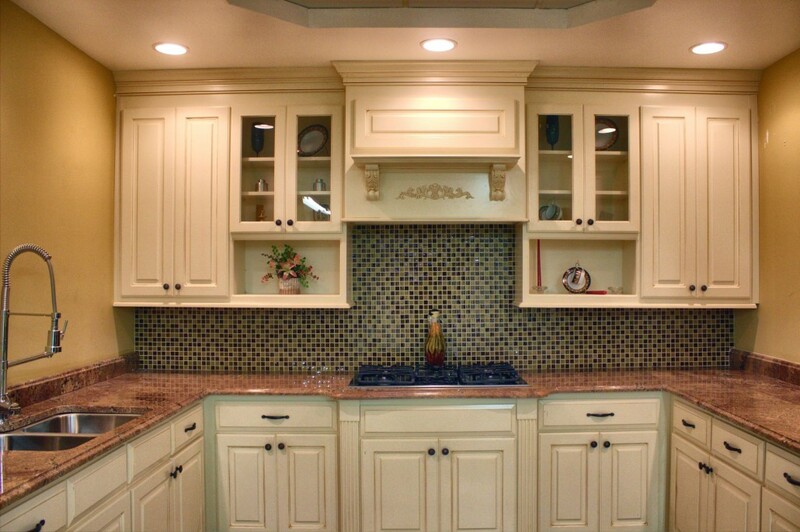 We deliver the custom-cut stone to your home and professionally install it. 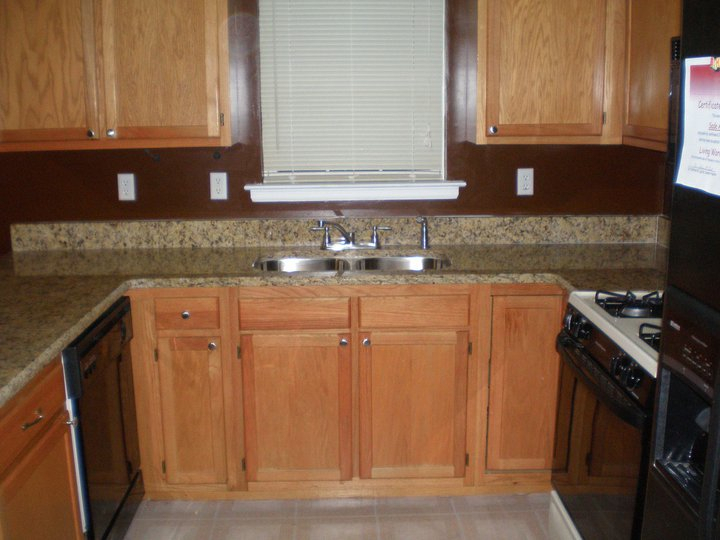 We offer natural products like granite, travertine, marble, and limestone. 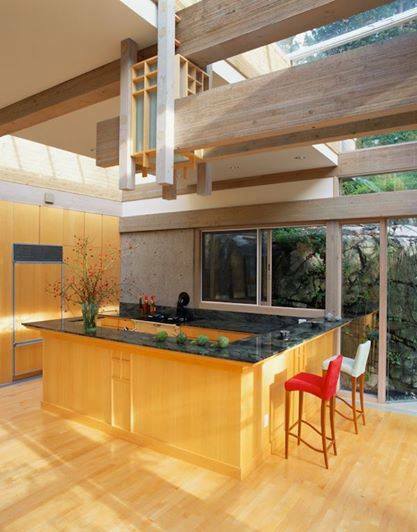 We offer composite quartz products like Silestone, recycled-glass products like Icestone, and much more. We offer vanities, stainless steel, porcelain sinks, and modern faucets. We have the very best brands of sinks, such as Kohler stainless steel and porcelain – all the latest designs and models. Come to our 6000 SF showroom to see everything we have to offer. There are many different styles of sinks from which to choose, including farm sinks, vessel sinks, under-mount sinks, and drop-in sinks. A few different sink finishes are available to compliment your Stone countertops, including ceramic, copper, stainless steel, granite, onyx, marble, sandstone, and limestone. We have tiles for your kitchen walls and floors. 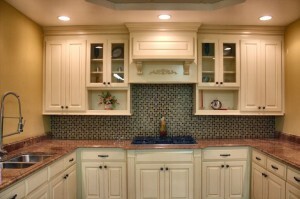 We offer the best natural and man-made tiles in the Richmond/central Virginia area.